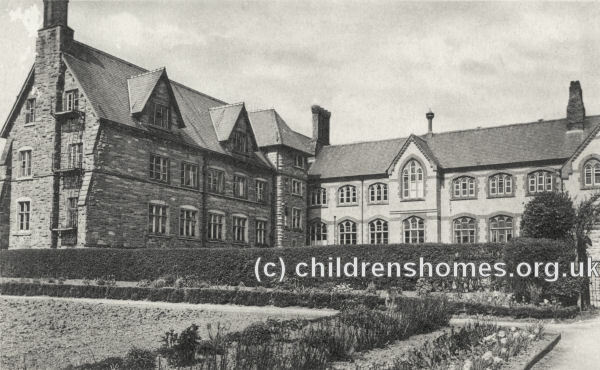 In 1861, St Francis' Orphanage for Roman Catholic Girls was established at Monastery Road, Pantasaph, Flintshire. On 3rd December, 1868, the establishment, now known as St Clare's, was officially accredited as a Certified School, allowing it to receive girls boarded out by the workhouse authorities. The orphanage was run by the Sisters of Charity of Our Lady Mother of Mercy. 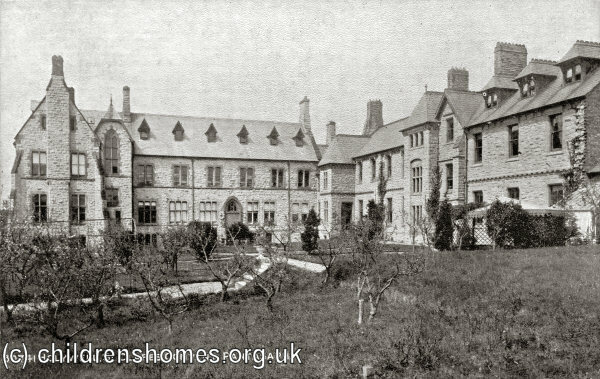 The premises were subsequently rebuilt on a much larger scale and could accommodate up to 212 girls, aged from 2 years upwards at their date of admission. In 1890, there were 150 inmates, of whom 82 had been placed by boards of guardians, the remainder being voluntary cases. A charge of £10 per annum was made for each girl, plus an initial entrance fee of two guineas. The St Clare's site is shown on the 1913 map below. St Clare's Orphanage site, Pantasaph, c.1913. By 1920, the institution was also known as the St Clare Domestic Training School. St Clare's closed in 1977 and the buildings have now been converted to residential use.